Marshall Breeding’s annual “Perceptions” survey is an international survey of library automation customers. For the SIXTH straight year, Apollo received top rankings in ALL categories. And maybe most importantly is a view into customers who are planning to change systems. 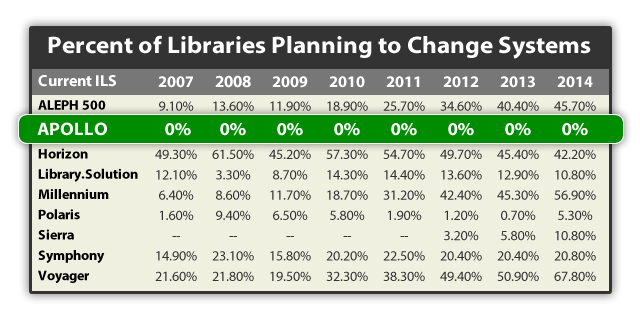 Here is the “Percent of libraries considering switching to a new system” table from the survey. For more details, see the “Perceptions 2014: An International Survey of Library Automation”survey. 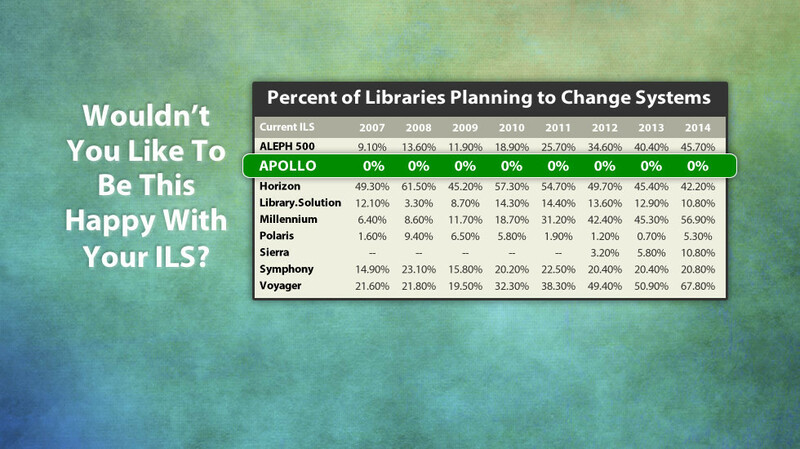 Please note that libraries with up to 100,000 holdings are considered “small” in this survey.